Our primary research interests are Quantum / Nonlinear Integrated Nano-Photonics. With the aid of well-developed nano-fabrication technologies, the integration of photonic components into a wafer yields an important turning point that promises a broad range of new applications and physics in Quantum Optics. 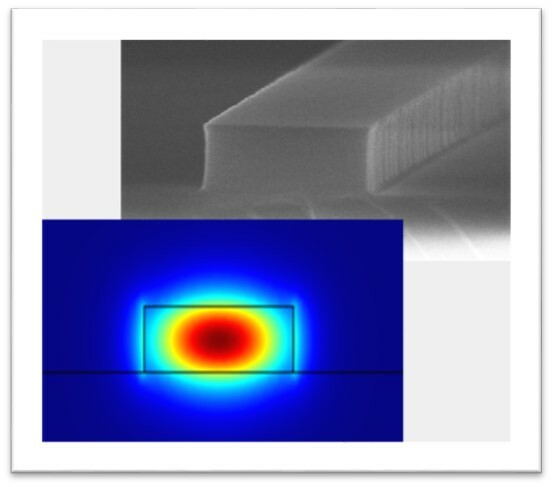 Non-classical light sources including microring resonator and silicon waveguides can be seamlessly integrated with photonic components creating a Quantum photonic circuit, and new proof-of-concept experiments will be performed. In addition, strong confinement of light can yield greatly enhanced light-matter interaction, especially photon-phonon interaction, to the unprecedented degree at nano-scales. In our group, Quantum and Nonlinear behaviors of photon-phonon coupling will be investigated with novel optomechanical phenomena, and applications using various light-matter interaction will be studied with interdisciplinary collaboration.